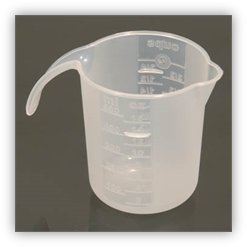 The 500ml Plastic Measuring Cup can be used to collect colostrum from a mare for freezing or bottle feeding a foal. The cup is graduated for easy measurement of volume in millimeters, ounces or cups. A handle and pour-spout aid in transferring the colostrum into storage or feeding bottles. Non-sterile.